Welcome to Carolina Forest Animal Clinic. 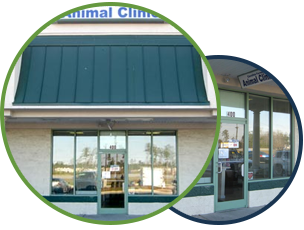 Carolina Forest Animal Clinic is a full service veterinary hospital that cares for dogs and cats in Jacksonville, North Carolina. At CFAC we are committed to providing comprehensive, quality care for patients to enhance their well being and quality of life. We achieve this by having a compassionate, knowledgeable and professional staff, utilizing the latest technological advances and implementing the foremost medical practices. It is our goal to educate and involve clients in a lifetime health care plan for their special companions. Carolina Forest Animal Clinic Copyright © 2019.